When you’re the primary care provider for a loved one, it can have a negative impact on your physical and emotional health over time. If you don’t take breaks, you can end up doing more harm than good for your loved one. 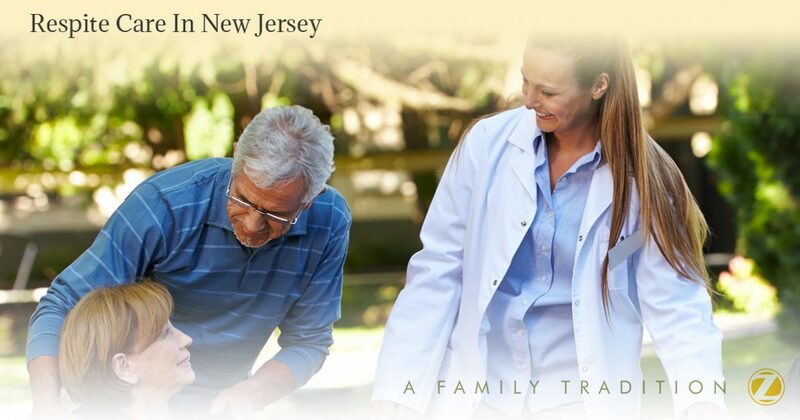 Respite care is designed to give you a break, we are proud to offer it to New Jersey families. By making our world-class facilities available as temporary living situations for families that need trustworthy care for their elderly family members, we give exhausted care providers a chance to relax and recharge. Our respite care can last anywhere from 10-60 days, and we are diligent and timely in getting all teams aligned to ensure the needs of our respite residents are met. 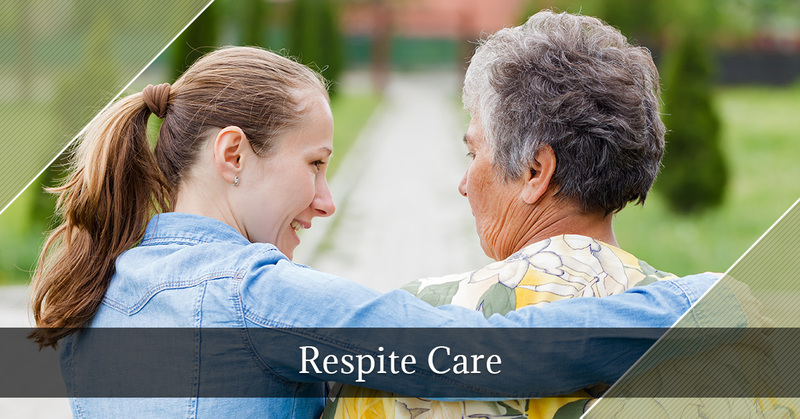 Respite care is a godsend to people who spend a lot of their time and energy caring for a loved one. If you’ve never experienced the benefits of respite care, here are just a few of the great reasons you should give us a call to learn more. It’s a win-win for both you and your loved one. You and your loved one probably have a routine you’ve been trudging out for months, and you’ve probably felt its effects on yourself, your family, your work, and even your ability to go on vacation. Caregivers tend to overspend themselves and then keep going, and as a result, their loved one starts to receive worse and worse care. Eventually, both you and your loved one can be completely miserable. Respite care at Heritage will give your loved one a change of scene and fresh caregivers while allowing you to reconnect with yourself and your needs. It allows you to consider your needs first. It can be easy to lose yourself in caring for someone you love, always putting your needs on the back burner in order to handle your loved one’s constant needs. Respite care means you can bring your needs to the front. Want to go shopping? Go ahead. Wishing you could sleep in? You can! Want to dive into a project you’ve been dreaming about? Now’s the time! It frees you up to reconnect. One of the biggest struggles of being a caregiver is isolation. There’s no time to make new friends or stay connected with old ones when you’re focused on your loved one. Let us handle that care for a while. We’re trained to do it right so you can peacefully focus on hanging out with friends and family. Once you’ve been in a situation long enough, it’s impossible to see the forest for the trees. Having time away from your loved one will allow you to reflect on your methods, priorities, and lifestyle. Chances are good you’ll realize that solutions, improvements, and happy coincidences have been staring you in the face; you’ve just been too worn out to notice. You may come out the other side with new ways to handle your situation. It gives you a chance to recharge. While there are little things you can do during everyday life to recharge, nothing can replace a complete break, especially when it comes to being a care provider. Let us take care of your loved one while you take a breath and work on recharging your deep energy reserves. Allowing families to experience a vacation or relief from responsibilities regarding a loved one’s care, Heritage’s respite care division is led by experienced, knowledgeable and attentive health care professionals. It is our goal to ensure the peace of mind that only comes from the unquestionable knowledge that your beloved family member is being expertly cared for. Catering to their every need, we leave not one reason to continue to worry about your loved one while you complete your travels, tend to other pressing business or family concerns, are between assisted living facilities, or just need a break from the stresses of senior care requirements. Providing daily activities, customized meals and 24-hour care, the Heritage’s respite care may just be the answer that you’ve been searching for in temporary senior living situations. Find out more by scheduling a personal tour of our Hammonton location or calling our client care team today.